NaturOli EXTREME 18X Soap Nuts / Soap Berry Liquid Detergent & Multi-purpose, Non-toxic, Green Household Cleaner. SUPER-CONCENTRATED. Award winning! 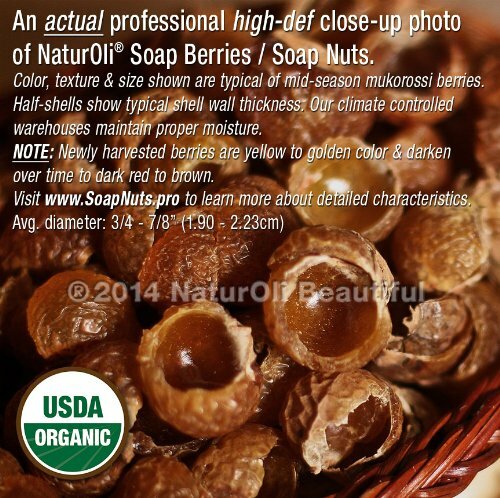 Made in USA with USDA Organic Soap Nuts! Product prices and availability are accurate as of 2019-04-12 16:41:36 EDT and are subject to change. Any price and availability information displayed on http://www.amazon.com/ at the time of purchase will apply to the purchase of this product. Travel/Sample size of one of our award winning Extreme 18X and Household cleaner. Ideal for flight travel, camping, or just to sample. Hefty 1oz bottle does 6 to 12 loads of laundry. Low cost per load. Dilute as desired for household cleaning needs. 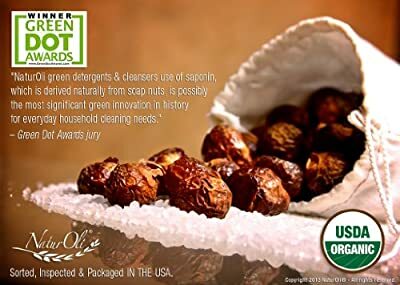 Recognized by the prominent Green Dot Awards as: "NaturOli green detergents and cleansers use of saponin, which is derived naturally from soap nuts, is possibly the most significant green innovation in history for everyday household cleaning needs." and further proclaimed, "Although the Green Dot Awards are worthy unto themselves, they are also a consumer guide to excellence in environmentally-sustainable practices. 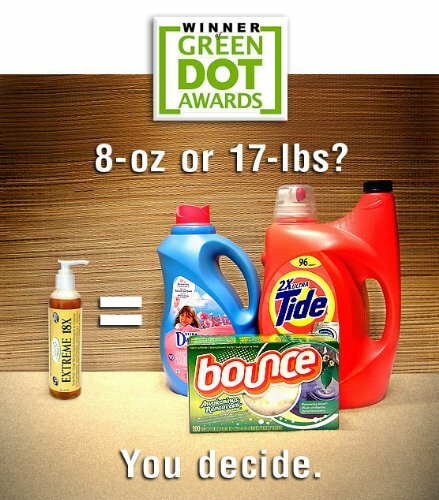 A business with a Green Dot Award is a business that can be trusted by consumers with stewardship of the environment." Laundry will be clean, soft and fresh like you've never known before. IDEAL for all with SENSITIVE SKIN; NOSES, plus all those experiencing skin irritations commonly caused by commercial detergents and cleaners. Having our roots in the development of ultra-high quality natural skin care formulas, we have a unique perspective in the development of natural detergents and cleaners. EXTREME 18X is actually nourishing and healthy for your skin and hair. Great for baby clothes; cloth diapers. For HIGH EFFICIENCY (HE); STANDARD WASHERS. Eliminates need for chemically laden fabric softeners and dryer sheets, too! As a signer of the "Safety in Cosmetics Compact", we abide by strict policies in product development. Be assured all NaturOli formulas meet or exceed the strict requirements of the "Environmental Working Groups' Safety in Cosmetics" campaign. NaturOli assures 100% TRUE full; complete disclosure of ALL ingredients.